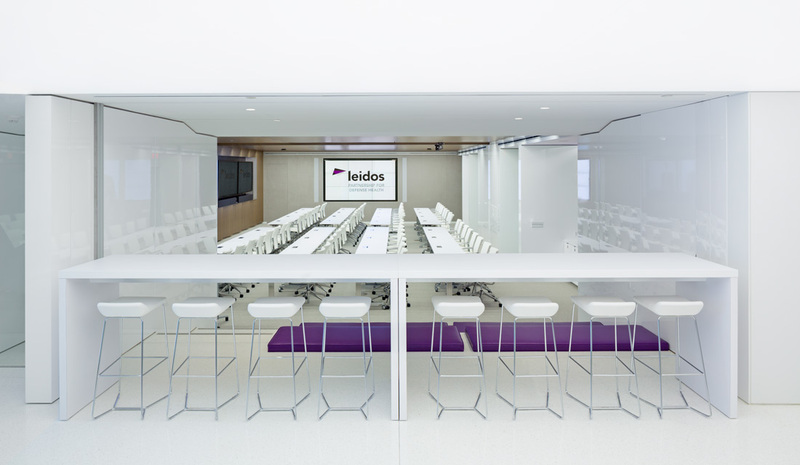 Designed by Benham with the global firm STUDIOS Architecture, and infused with elements that showcase the brand, the Leidos Conference Center integrates all of the components of a successful meeting: technology, space design, collaboration, and customer service. 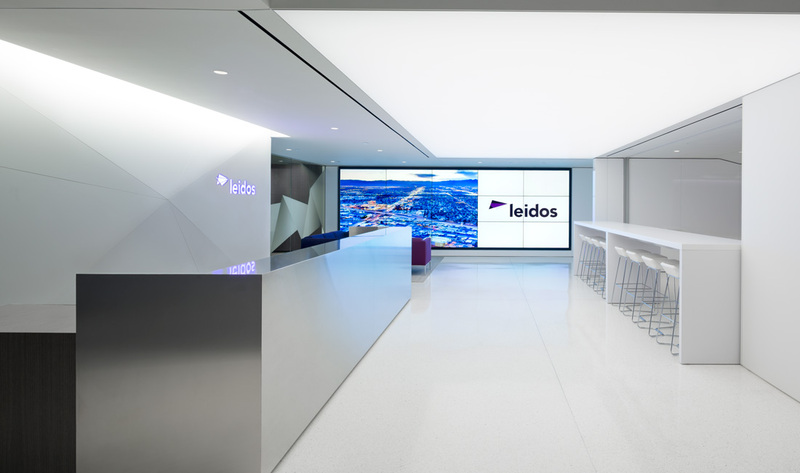 This state-of-the-art facility is available to employees, customers, and business partners. • The Beyster Training Lab - Named in honor of company founder Dr. J. Robert Beyster. 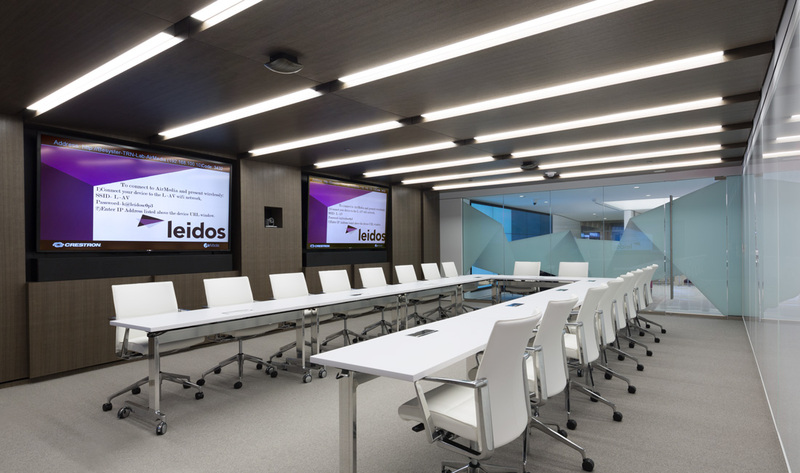 The lab accommodates some 40 guests (depending on configuration) and features three 90-inch flat-panel LCD displays and a floor-to-ceiling chat board to facilitate collaboration. • Solutions Hall - The largest space—can be configured as a single multi-purpose room for approximately 120 participants or divided into two smaller conference rooms. The hall features an array of nine video screens (three up and three across) designed to host different images simultaneously for multitasking presentations. A side wall also features four 90-inch flat-panel LCD displays to accommodate viewing for alternate furniture configurations. 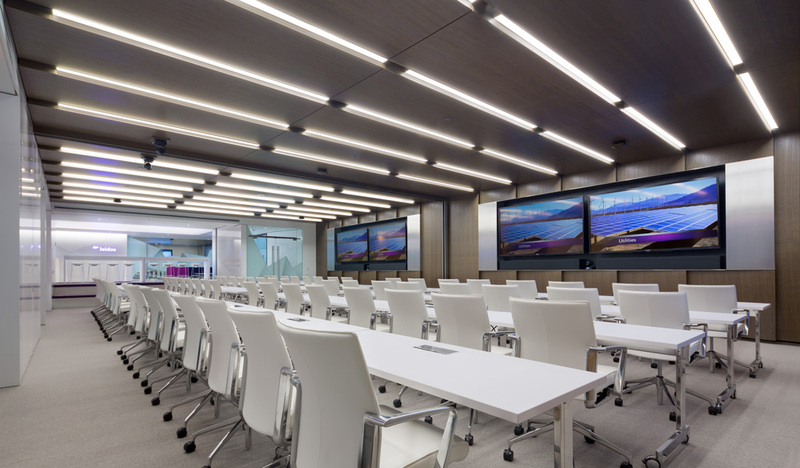 • Insight and Impact Rooms - Accommodate up to four participants each and feature a 70-inch flat-panel LCD display, a Skype-enabled speakerphone, and a high-definition webcam.